The following appeared in The Paulick Report June 30th. Virginia-bred One Go All Go, who has earned over $358,000 this year alone, will make his 8th start of 2018 in the Grade I United Nations Stakes at Monmouth on Saturday. 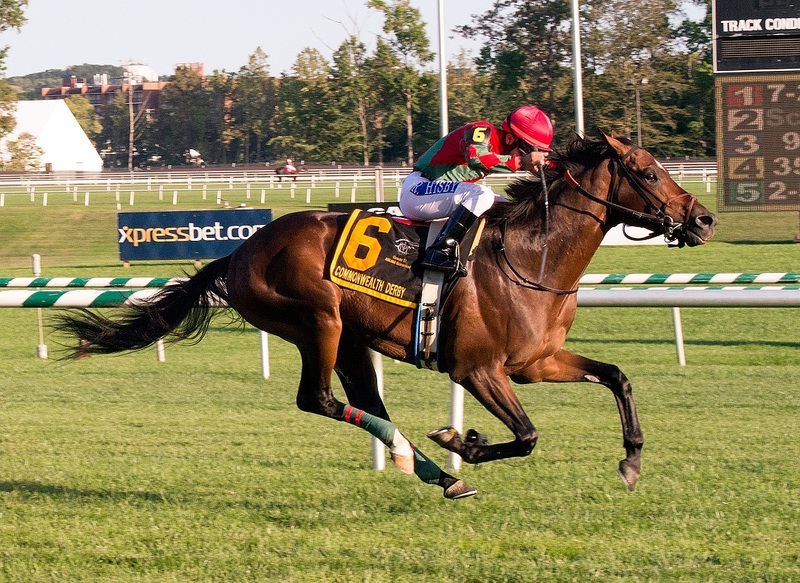 The 7-year-old turf contender will chase grade 1 glory June 30 at Woodbine. The first series of races in the 2018 Virginia-bred/sired stakes race program being held at Laurel Park are now complete, and updated trainer and owner standings for both bonus award divisions have been announced. The following appeared in The Paulick Report June 26th and was written by Natalie Voss. The last year has been a major learning curve for Chuck Kuhn. NEW KENT — During bill-signing season, Gov. Ralph Northam gets invited to lots of dog-and-pony shows. But this one had actual ponies. The following appeared in a Maryland Jockey Club Press Release on June 23rd. 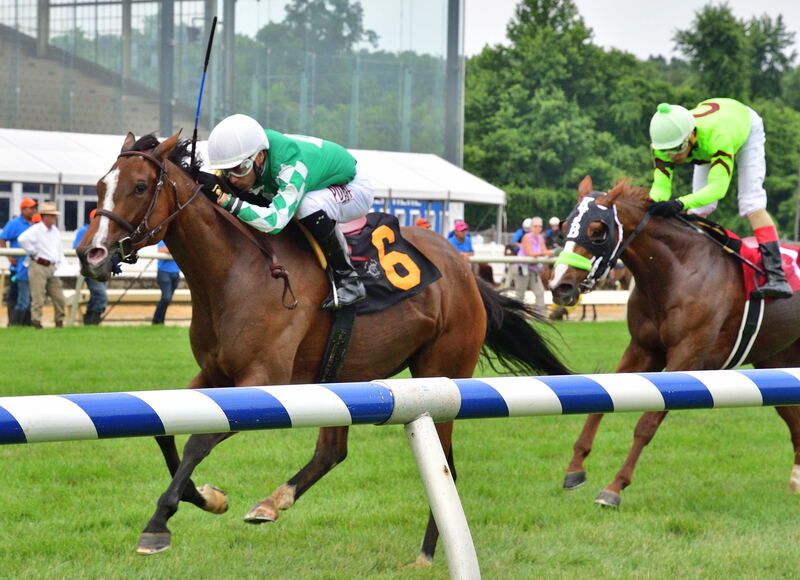 D Hatman Thoroughbreds and Kingdom Bloodstock’s Determined Vision lived up to his name in his turf and stakes debut, leading all the way for a hard-fought half-length upset of Saturday’s $75,000 White Oak Farm Stakes at Laurel Park. The following appeared in The Racing Biz June 25th. 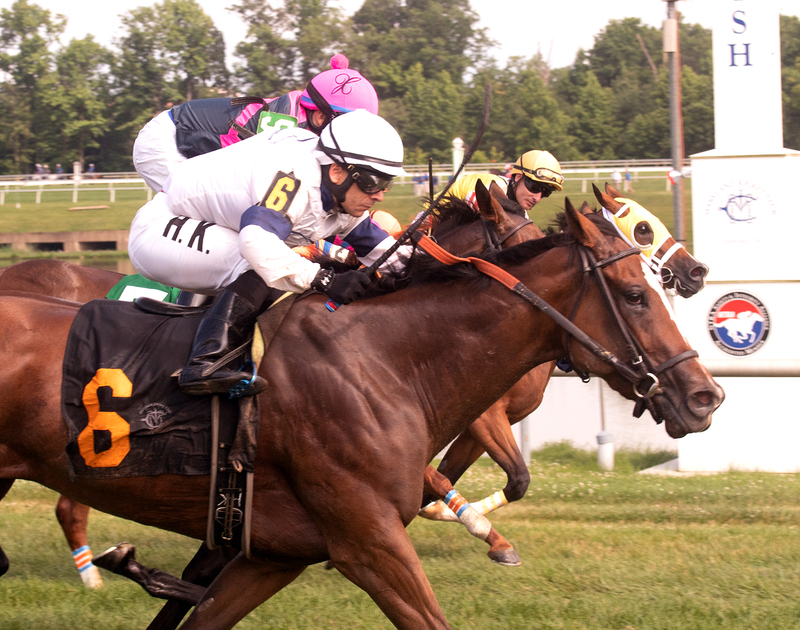 Sticksstatelydude, the winner of the $75,000 Edward P. Evans Stakes at Laurel Park Saturday, part of the Virginia-bred series of races, wasn’t bred by Budweiser, exactly. But it might feel that way. Congratulations to Virginia-bred Altamura, who captured the $75,000 Tyson Gilpin Stakes at Laurel Park in a wild four horse photo finish. 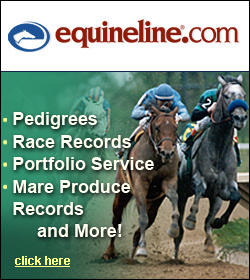 The stakes was the second of four on the “Commonwealth Day” program exclusively for Virginia-bred/sired horses. Altamura (#6) wins a tight race over a trio of close finishers in the $75,000 Tyson Gilpin Stakes. Photo by Jim McCue. Armoire, who finished second a year in the Nellie Mae Cox Stakes, got to the winners circle Saturfday afternoon at Laurel Park in the 2018 edition. The $75,000 event was the first of four stakes exclusively for Virginia-bred/sired horses on Laurel’s “Commonwealth Day” card. Armoire beat Drop Dead Red by 1 1/2 lengths in the $75,000 Nellie Mae Cox Stakes. Photo by Jim McCue.